Most of us have standard, unremarkable faucets in the bathroom. But time is fleeting, and everything changes. Changes have touched and usual, it would seem, things – a mixer. Therefore, it’s time to think about replacing traditional sanitary ware with a more modern and creative one. Well, which model to choose, these 12 unusual mixers will help you, which will decorate any bathroom. According to American standards Unusual black mixer, which is printed on a 3D printer, will be unusual, and at the same time, functional decoration of the bathroom. Nature lovers will appreciate this wonderful version of the mixer, which is made in the form of a bowl with living plants and falling water. The unusual shape of this blue glass faucet will decorate any bathroom. 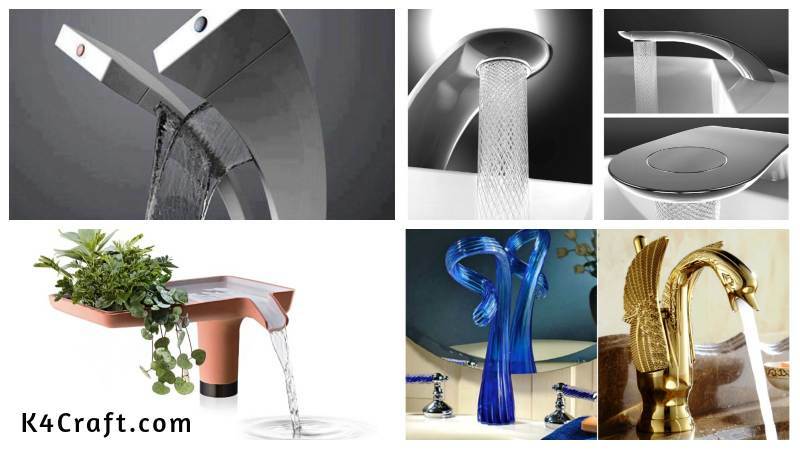 The design is designed in such a way that the flow of cold and hot water is combined in one jet. Quite unusual solution. Another mixer, which consists of two parts of a semicircular shape for water and control of the lever. A trendy mixer, the uniqueness of which consists of the original water supply. The jet is divided into many thin streams, forming a beautiful pattern.